I just acquired a 1972 340 block(heads not included). The Id pad on the front of the block is blank what does this mean? I have a 1972 Dodge Charger Rallye with a highly modified 340. All edelbrock top end producing about 400 HP. I have 2 340 engines , one almost stock with just a cam the other cam pistons and head work .030 over , both 1970 blocks . 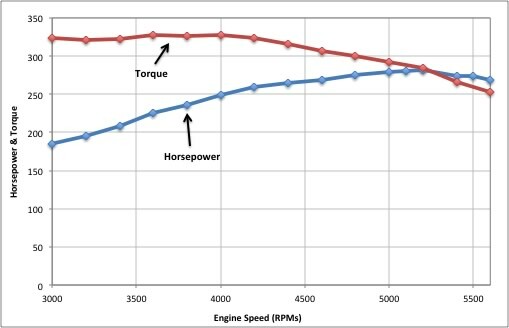 Stock with cam has 350HP 375 torque , the other 412 HP 391 Torque , these are not guess work but dyno numbers . Factory underrated these engines . Hi Jerry6, would you be interested in selling one or both 340 motors. how rare is this car. can any body help. Hello, I own the domain moparengine.com. Would you be interested in buying it? I only want $30 for it. Thanks. i have a 71 340 motor for sale.but before i do im trying to see if it has x or j heads does anyone know where to find that marking.? jim they are on the stamping between the spark plugs a big X or J, or get the casting numbers off the heads and google them. I have a 69 10.8:1 .030 over 340 w TRW 2316 forged pistons, lightened 340 rods w/ ARP bolts, and stock forged crank. Ported edelbrock 63cc heads (flow 275 @ 600), Comp XE282S (.520/.540) solid flat tappit cam, Comp roller rockers, PRM air gap w/ 1 in. spacer, and Holley 750DP. Engine just dynoed 440 Hp w/ 425 Tq. Robert Wade, your 71 dr duster is 1 of none. Plymouth NEVER made a 71 4 dr duster. billy t, look on the left side of your block 3/4 of the way back about 1/2 way down the block in front of where starter mounts. Big 1 inch tall #s cast in the block w the cu. Ex: 340-2 Real easy. No #s to decode. This is not a chevy. 600 holley, chrome box, 1 inch spacer & headers. ran on chassis dyno once. Made 206rwhp. bit of controversy that day. other participants said dyno was showing 30hp less on some of the more wild cars. never the less 300+ hp out crank on a 140,000km original motor. Billy T. The first four letter & numbers stamped should be A331, thats what the oz 340s prefix is. if not you’ll find casting numbers behind starter motor also tells you what size engine. from what i gathered soo far i have a 1972 340 with j heads..a thermoquad carb.i’m trying to sell it for $800.00.